Spicy Cherry Tomato Pasta Sauce is one of the best pasta sauces recipes ever. 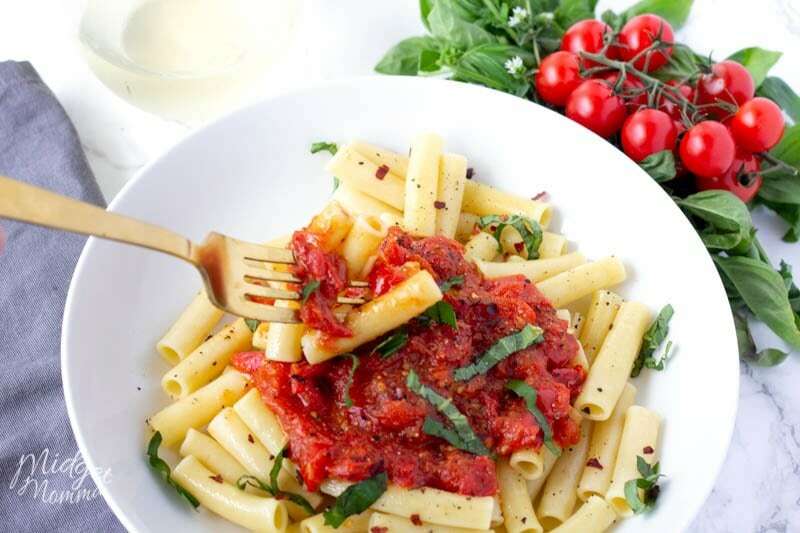 If you have never made a pasta sauce with cherry tomatoes then you are in for a real treat! 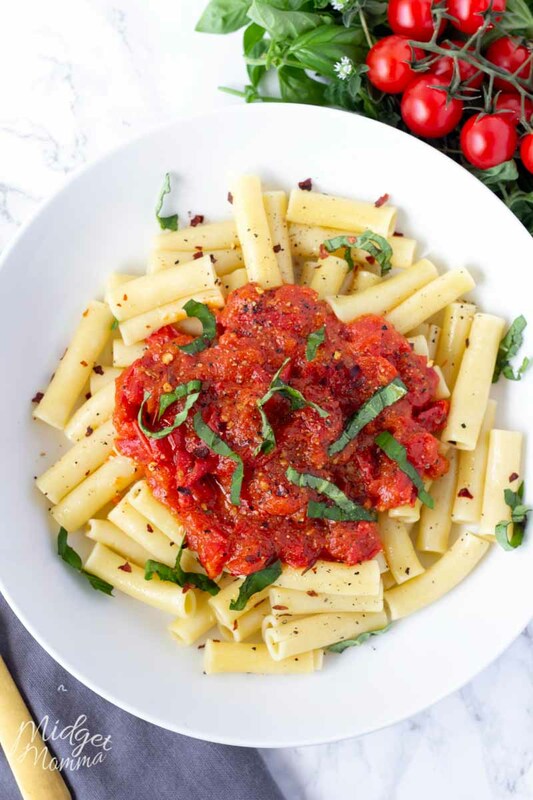 This spicy tomato pasta sauce has amazing flavor and the perfect spicy kick! I have been making this cherry tomato pasta since I was in high school, it was one of the first recipes I created that made me love pasta so much. You can use any of your favorite pasta when making this sauce, if you use spaghetti noodles, you will end up with spicy spaghetti! 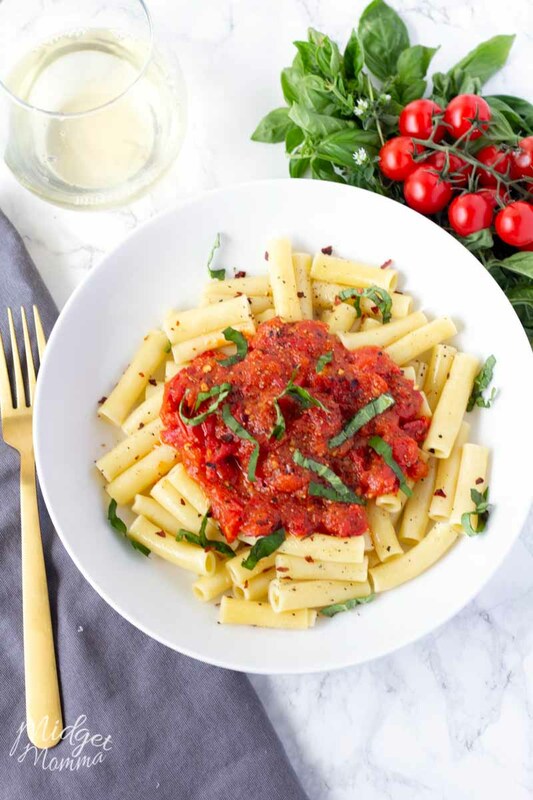 If you have never made a cherry tomato pasta sauce, you are going to love how easy it is to make. 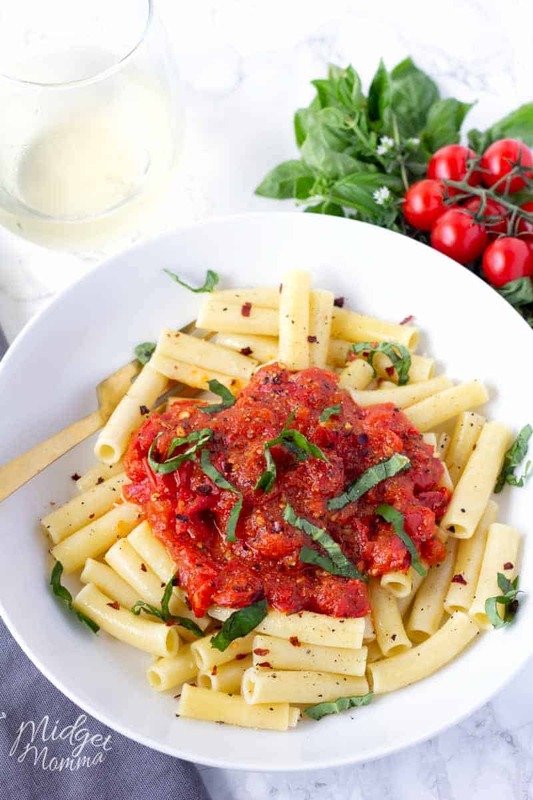 This Spicy Cherry Tomato Pasta Sauce sauce comes together so fast! It gets done in the amount of time it takes to cook the pasta! 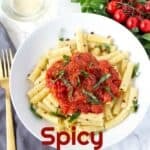 If you want to kick up the heat in this spicy pasta sauce you can easily by adding more cayenne powder to your sauce. I love the flexibility you have with this recipe when it comes to making the pasta sauce spicy! This quick and easy pasta sauce is perfect for a weeknight dinner when you are short on time. The whole meal is done in under 30 minutes! Just add a salad, veggie and bread and then dinner will be on the table in 30 minutes and everyone will be enjoying a tasty dinner! 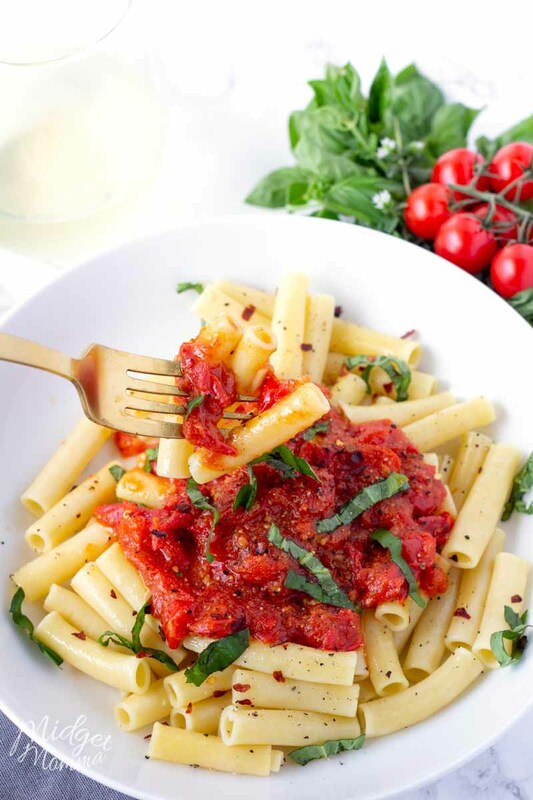 Spicy Cherry Tomato Pasta Sauce is one of the best pasta sauces recipes ever. Quick and easy pasta sauce recipe that makes the perfect weeknight meal! 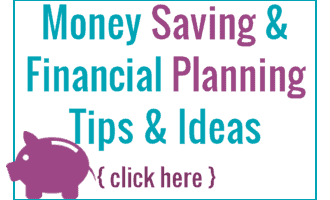 Cut the cherry tomatoes in half, squeeze out the seeds and than cut them in half again. Heat the oil over medium high heat and add in the tomatoes. Add in all of the spices and cook until the tomatoes cook down. Cook your pasta in salted water according to box. Half way through cooking the pasta take a cup of the pasta cooking water and add it to the sauce. If the sauce gets to thick just add a half cut of the pasta water at a time to thin it out.